A law firm for the 21st Century, we utilize the latest in legal technology to provide our clients with the most up-to-date information regarding the laws that affect their cases. By doing so, we can offer a level of service unmatched by other legal practices, and we are proud to receive so many referrals from clients fully satisfied with the level of support and advocacy they received from our legal professionals. In all cases, we will work closely with you to fully understand your situation so that we can devise strategies and solutions tailored to your specific needs and goals and help you achieve the most favorable outcome possible considering your circumstances. 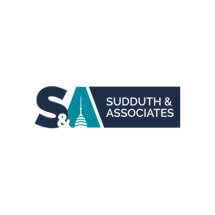 For more information on how Sudduth & Associates can best help you during your time of need, you can contact our law office to schedule a consultation.